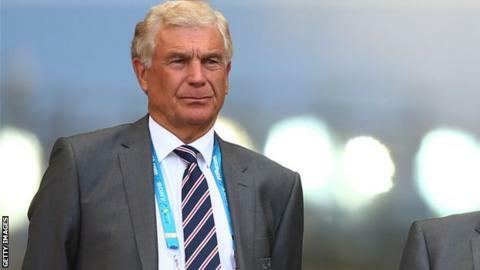 Sir Trevor Brooking believes up to 20 English clubs could have black managers in place in the next decade. English football is under the spotlight due to a lack of black managers, with just two now employed by the 92 clubs. Brooking does not want a quota system introduced and believes the situation will evolve naturally over time. "Given the number of players from all backgrounds, it would be madness if in five or 10 years' time that's not reflected in the coaching," he said. "I'm sure we'll have 10 out of 92, 20 out of 92, that over a period of time will be from the different ethic mixes." Football League chairman Greg Clarke has been criticised for not implementing a version of the 'Rooney Rule', which would ensure black and ethnic minority inclusion on managerial vacancy shortlists and has been advocated by Paul Ince and Garth Crooks among others. Clarke has been accused by Crooks of "bottling it" but Brooking, who recently retired from his role as the FA's director of football development, feels it is the wrong direction to take. "I'm not a great one for the Rooney quotas," he told BBC Sport. "I don't see why you shouldn't have three black coaches in the final shortlist if they're the best but I wouldn't feel comfortable putting somebody in who was not quite ready for the sake of that Rooney argument. "I'm a strong supporter of trying to invest in the right ethic mix of players and new coaches - but they've got to be on merit," he added. "At the moment, we haven't got the number of black coaches that you'd like to put up." The former West Ham United and England forward, who turns 66 on Thursday, rejects any suggestions that discrimination is the cause of the perceived lack of opportunities for black coaches, whose only managerial representatives at present are Huddersfield's Chris Powell and Carlisle's Keith Curle. "I'd be really surprised if they weren't appointing on merit," he said. "I think we went through a cycle with players a bit like this and now the playing side reflects the different ethnic mix that we have in the country. "It's not the same in coaching at the moment. But I don't think that has anything to do with people not wanting to appoint someone because they come from the black community - it's just on who's around at that time. "I think it will get better. The mix in our grassroots coaching is getting a lot better. "Some black coaches say they're not given a chance but I do think a lot of them have to get themselves in that position. "There is a reluctance from people sometimes and they feel it should be handed to them."